For many of my patients who are active and have problems with their anywhere from their feet to their lower back ankle mobility may be an issue. Poor ankle mobility can compromise the stability of the foot, knee and lower back. Common problems that we see with people with poor ankle mobility are knee pain, Achilles tendonitis/tendonopathy, lower back pain. We often see poor squat and single leg squat mechanics as well. Therefore, improving the ankle mobility may help improve your lower extremity pains, reduce the likelihood of injury as well as improve performance when you train or compete. I found this great article by Mike Reinhold that goes more in depth in this area. Ankle Mobility Exercises to Improve Dorsiflexion – Mike Reinold. I recently received a foam roller from m80roller.com. I had been interested in their product to see if it would be worthy of selling at my office since I often give foam roller exercises for my patients. I decided to write this post to compare my experience with different foam rollers. This will not be a post to say how wonderful the m80 roller is as a thank you for them to sending me a sample product. I want to be critical of the product along side similar products. I do my best to not be biased. 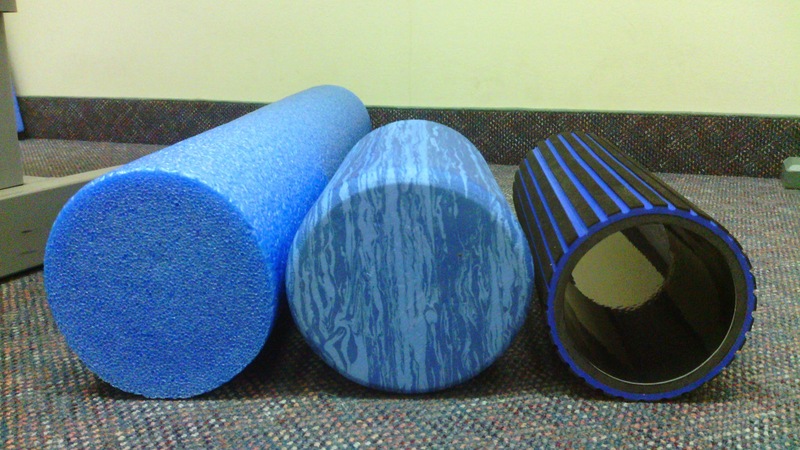 So lets compare three styles of foam rollers; the open cell foam roller, close cell foam roller, and the m80 roller. I will score them in three categories: Firmness, Expense and Durability. A 3/3 is excellent/high and a 1/3 is poor/low. The open cell foam roller, first style of foam roller you see in the images, can be identified by the open look of the ends. It looks like the tube was produced and the ends cut off showing the insides of the cells that make of the foam. Most people call these pool noddles. These rollers tend to be the cheap to purchase. They often are softer and easier to handle than more dense foam rollers. This will be of benefit for those who have a rigid spine or their muscles are too sensitive to pressure. The problem with this product is that with extensive use the foam breaks down at the cylinder starts to warp. In addition, heavier athletes may crush this roller quickly. For those who wish to use these daily, I’d suggest something more durable. 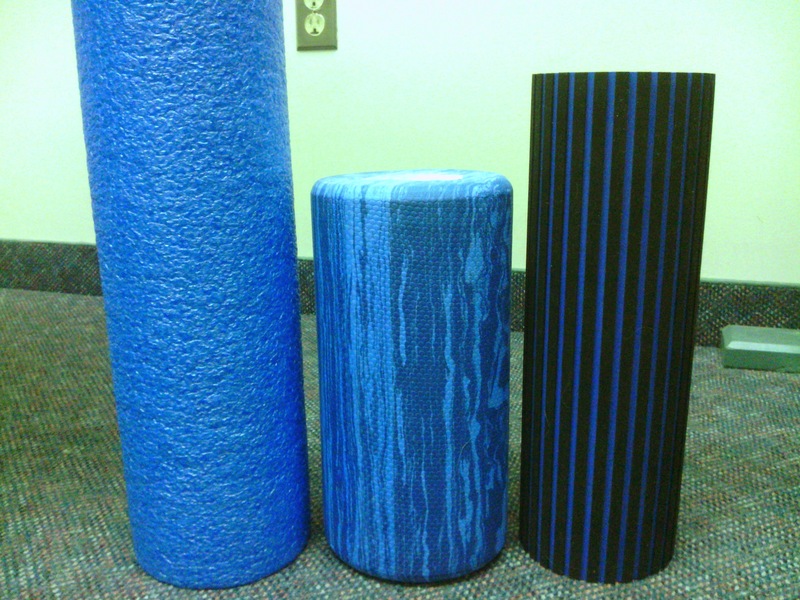 The second foam roller, is the closed cell version. It is more solid looking and the ends are smooth not letting you see the insides of the cells.This type tends to be more expensive than the open cell versions. They are a little more stiff than the open cell rollers. The roller I use has not changed it shape at all since purchasing it 4 years ago with light use. Durability: unknown. I will do a further review of this product after more use by myself and my patients. The levator scapulae muscle is often a problem especially for those patients who complain of tightness on the “top of their shoulder”. It attaches to the top of the shoulder blade (scapula) and to the side of the neck. When this muscle is tight or in pain it can be felt when elevating the arm over head, flexing the neck and side bending the neck to the opposite side. This muscle can be a cause of a patients shoulder problem because it will negatively impact the positioning of the shoulder blade during arm movements. A tight levator scapula may lead to shoulder bursitis or shoulder impingement. To stretch it completely requires moving both attachments away from each other. 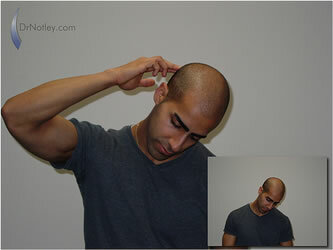 To do this flex your head down and roll the head to the opposite shoulder. Then lift the, same side, arm up over head. Bend your elbow and apply light pressure onto the head to add more stretch. Make sure you keep your elbow high (not seen in picture). I don’t often prescribe this stretch any more but some patients still like the ease of using this when they are at work. What I recommend now to my patients is proper stretching of the chest muscles, maintaining correct posture (through taping or regular reminders) and an exercise called the prone thoracic extension that I learned from Evan Osar.